a dancer of 19 years, believes that dance is a universal language which carries a message without any border. Philosophically holds the term “Dance is culture, culture is dance” coined by Alan Merriam, he stands that dance is the suitable tool for understanding and giving respect to any culture. 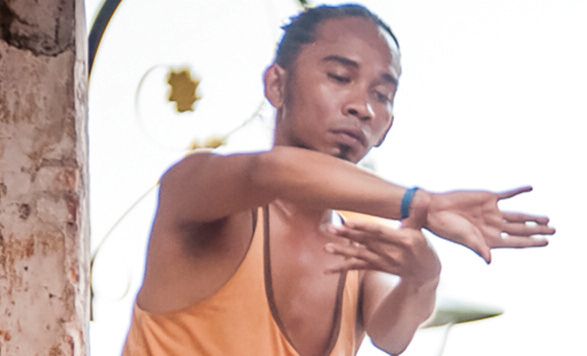 Growing up traditionally as a Suluk (Tausug) ethnic from Sabah, he discovered his passion and love for dance after migrating to Kuala Lumpur in 1997. His works had always implemented the elements and form of the cultural and traditional richness of his Sabahan people which blends with the contemporary. A University of Malaya dance graduate, his works had already been featured in the local and international stage. Site-specificity has been his new forte and his creatively is free yet traditionally intact.